The public when shopping were given a green token at the checkout and could choose one of 3 charities to benefit by placing the token in the appropriate collecting box in the foyer. The charity with the most tokens then received the cash donation from the store. 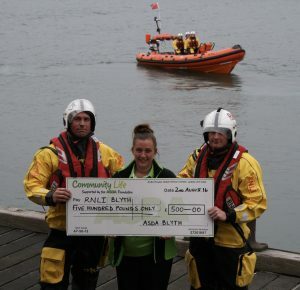 Scott Delf, one the Volunteer Helmsman at the station said, “It’s fantastic that the people of Blyth have supported the work that we do here and the money donated enables us to continue saving lives at sea”.  Diane commented, “It was nice to come to the Lifeboat Station and meet the Crew and actually see what the RNLI put the money towards. We as a local store look forward to being able to continue our support of the station and crew in the future in the vital work they do”.